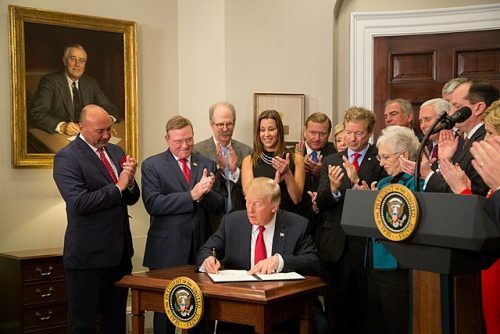 Like a cannonball, President Trump has leaped into the turbulent waters of higher education free speech policy and action. Carrying through on a promise he made during a freewheeling speech he delivered at CPAC a few weeks ago, the president has issued an executive order that throws the power of the federal government into the protection of free speech in higher education. Entitled “Improving Free Inquiry, Transparency, and Accountability at Colleges and Universities,” the order mandates that the heads of several federal agencies work with the Office of Management and Budget to take “appropriate steps” to safeguard “free inquiry” on campus. Schools that violate whatever regulations emerge from the order would be subject to losing their federal funding. The first question one asks regarding a major new federal regulation is whether it is even needed. Is it an attempt to solve or ameliorate a problem, or a solution in search of a problem? The second question is the means chosen to deal with the problem. I address each question in order. Debate rages over the nature and extent of the campus free speech problem—after all, higher education is a vast and complex enterprise. Regardless, Trump’s objective is highly defensible. Who except censors and narrow-minded political activists think free speech is not vital to higher education and the country? And reasonable observers agree that free speech is at least embattled in many institutions, and in worse shape at too many. Witness, for example, the recent shenanigans at Sarah Lawrence College, one of America’s most expensive schools. Student activists issued a set of extremely problematic demands (discussed in detail here) as the latest installment of their jihad against tenured conservative professor Samuel Abrams. From whence came their wrath? Late last fall Abrams had the temerity to write an op-ed in The New York Times criticizing what he considered the lack of intellectual diversity on campus and the ideological tilt of administrators nationwide that has abetted this lack. Administrators at Sarah Lawrence were busy sponsoring public events that emphasized the claims of such movements as Black Lives Matter, while not providing space for competing views. In response to Abrams’ classic exercise of free speech, students claimed they were “wounded” by his op-ed and defaced his office door with what Abrams considered “messages of intimidation.” At first, the administration accused Abrams of emotionally harming the students—an all-too-common claim on campuses these days—but, however tardily, it eventually gave verbal support to his academic freedom. The Coalition also demanded the president’s public denunciation of Abrams for “the harm he had caused to the college community,” and the formation of a special panel consisting of Diaspora Coalition members and “at least three faculty members of color” to reconsider Abrams’ tenure. If tenure is to mean anything, its fate should never fall into the hands of politicized students and their allies. The situation at Sarah Lawrence and many other schools calls out for strong, unequivocal defenses of free speech. But the means chosen for this and other cases require strategic wisdom. This point brings us back to Trump. The potential problems of implementation are both general and specific to the case at hand. On a more general level, We the People have let too many of our problems be resolved by the federal government and its bureaucracy, thereby weakening democratic consensus and self-government. Many observers found fault with President Obama when he issued an executive order mandating transgender access to every public school bathroom for being too dictatorial. The critics thought it better that each school or state fashion its own policy in this delicate area. How different is Trump’s order? On a more specific level, federal intervention in this domain could actually further harm the cause of free speech itself. Key terms of the order, such as “appropriate steps” and “freedom of inquiry” are vague and potentially very broad, opening the door to abuse coming from different directions. Echoing the activists at Sarah Lawrence, many student censors today claim that public speech they deem inconsistent with “social justice” makes them feel “unsafe,” thereby causing them to be fearful of expressing their own ideas. In a recent essay, Heather Mac Donald pointed out that a future federal administration could apply this new type thinking to require expanded censorship in the name of furthering freedom of inquiry. In Orwellian fashion, bureaucrats could deem less speech a means to foster more speech. So-called “free speech bills” recently enacted by state legislatures have mainly targeted a specific area of concern that is amenable to remedial action: the disruption and shouting down of speakers. Trump’s order, however, could be applicable in other domains where the issues are gray, not black and white. As the First Amendment watchdog organization PEN America pointed out in a recent critique, Trump’s order could apply to a professor’s not emphasizing a certain point of view in class, or a department not sponsoring a speaker whose views it rightly considers a form of junk science. First Amendment jurisprudence and principles of academic freedom have always allowed for limited, principled restrictions to free speech—e.g., intellectual competence and relevance to the subject at hand can limit what is said in class, and members of the university community must be allowed to decide whom to invite as speakers. But heavy-handed government intervention could intrude upon such judgments, especially if overly zealous students deploy federal power to back their claims. Another difficulty with Trump’s order is that it could undermine free speech activists who have worked hard over the years to restore free speech and liberty on campus. I say that because the defense of free speech must be non-partisan in both substance and appearance, and Trump provokes partisanship. In Wisconsin, for example, state campuses construed as partisan the state legislature’s 2017 campus free speech bill that mandated penalties for students who disrupt speakers. This perspective was reinforced when the Republican-controlled legislature adopted other measures or made statements that intruded upon university autonomy and challenged the academic freedom of some instructors. Trump’s order, however, could be applicable in other domains where the issues are gray, not black and white. The retreat of Sarah Lawrence’s faculty provides justification for Trump’s executive order. But such justification must also reckon with the downsides under discussion. Fortunately, there is a way that the federal government could assist free speech on campus in a less heavy-handed manner. In 2003, assistant secretary Gerald A. Reynolds in the U.S. Department of Education’s Office for Civil Rights wrote a “Dear Colleague” letter to colleges and universities, reminding the institutions of their obligation to apply harassment law in a manner that does not violate the First Amendment. “I want to assure you in the clearest possible terms that OCR’s regulations are not intended to restrict the exercise of any expressive activities protected under the U.S. Constitution,” Reynolds stated. Rather than calling for a sweeping policy dictating how higher education institutions should deal with harassment and speech, the letter simply reaffirmed a position that has existed in law since the formation of the United States: that statutory rights (in this case the right not to be harassed in professional activities) must not be applied in a way that violates constitutional rights, such as the First Amendment. If education secretary Betsy DeVos or one of her subordinates were to reaffirm that position, it could empower free speech activists and practitioners, as well as provide the basis for legal action on their behalf, with or without a presidential order. A lesson lurks in this situation. If higher education wants to avoid potentially heavy-handed and deleterious outside intervention regarding free speech, it needs to get its own house in order. 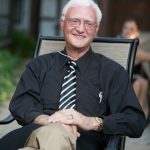 Donald Downs is Alexander Meiklejohn Professor of Political Science Emeritus, and Emeritus Affiliate Professor of Law and Journalism at the University of Wisconsin-Madison.